High quality yet economical oil colour for the discerning artist. Well-balanced colour spectrum of 48 brilliant colours. High concentration of pigments for an exceptional colour intensity. Excellent lightfastness. 25 single-pigment-colours. Surface drying in 2 to 4 days. Traditional production on three roll mills. 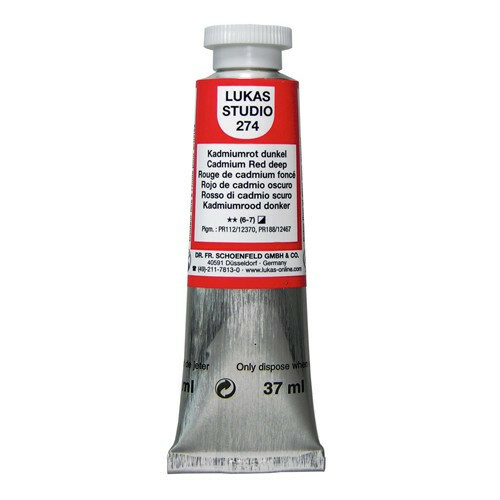 LUKAS STUDIO - Fine Artists' Oil Colour, the modern professional quality with an optimised price performance ratio, contains only brilliant and consistent pigments with a high light fastness. A spoor (0,5 - 1,5%) of the finest bleached Bees Wax as one of the ingredients gives the colour the famous "buttery and short" consistency and makes the colour-film less brittle for the restorer. 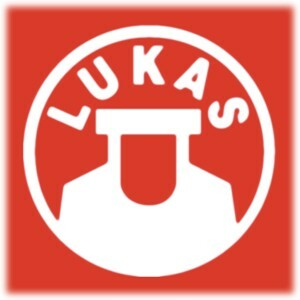 The binders are, as in all LUKAS oil assortments, only pure vegetable linseed and sunflower oils in special quality. Available from stock are 48 colour shades in 37ml Tube and 200ml Tube. High quality yet economical oil colour for the discerning artist. Well-balanced colour spectrum of 48 brilliant colours. High concentration of pigments for an exceptional colour intensity. Use of especially refined linseed oil and sunflower oil (pharmaceutical quality), no tendency of yellowing. Distinctive smooth buttery consistency through the use of bees wax. Surface drying in 2 to 4 days. Traditional production on three roll mills.